When you think about meditation, what is the first image that pops into your head? For most people, it's likely of a person sitting still, cross-legged, with hands resting on knees, palms up. 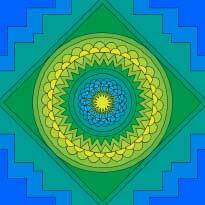 That is certainly consistent with what many of us know and associate with classic meditation. However, it may come as a surprise to you that you do not have to sit still for a long period of time, repeating the word 'om' or some other mantra while vainly trying to chase away your omnipresent thoughts. Don't get me wrong - despite my apparent sarcasm, I do not begrudge the people who are lucky enough to possess the discipline and capacity to achieve the consistency, stillness and zen state to which we all aspire. I simply don't happen to be one of them. And anyway, even if you do have the ability to meditate this way, you may not like or choose to. Because I have been able to meditate in the classic manner, on occasion (in the past), I do know how it feels and what a big difference it can make, and not only while you are meditating or immediately following it, but generally in your life. Meditation provides a myriad of benefits and rewards: decreased stress and anxiety, improved physical and mental health, a sense of wellbeing, improved sleep, more self- awareness, better focus and many more . 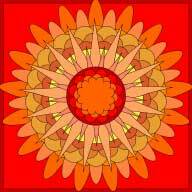 . .
COLORING and other forms of art and creation! Most artists likely know that the repetitive motions of painting, blending color, throwing pots, sculpting, drawing, needlework, or decoupage often organically induce that wonderful state of just being. When you are in this space, which some also call flow, you can lose time and are become oblivious to outside noises and activity. Your breathing becomes more regular and if you have thoughts other than about what you are doing, they are much fewer in number and frequency than usual and what you are doing naturally beckons you back to what is (literally) at hand. 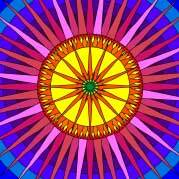 If you don't consider yourself to be an artist or even mildly artistic, don't despair! One of the best ways to engage in this type of active meditation is simply by coloring. In a coloring book. Yes, really! :-) It can be a 4-yr-old's coloring book or a 10-yr-old's book OR you can buy your own book. If you do choose to buy your own "adult" coloring book, you will not have to look too hard or far to find one. It appears to be the hot new thing and these books are flying off the shelves of stores and Amazon can't keep them in stock. Personally, I have been "coloring" for my whole life so it's a bit interesting to me that the rest of the world seems the have 'just' discovered the pleasures and benefits. Although you can absolutely do any kind of coloring to relax and slow down, what is important is that that you move rhythmically and slowly. Moving your hands in circular and spiral motions can be somewhat hypnotic, which can help you to calm and slow down. 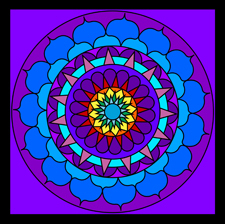 Images with many patterns and repetition are especially helpful in fostering this relaxed state of being, so mandalas, zentangles, geometric and kaleidoscopic designs are a great choice. It doesn't matter whether you use crayons, markers or colored pencils; use what you prefer, what works with your design or simply what you happen to have on hand. 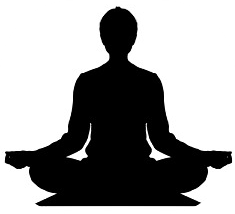 If you do try any of these forms of meditation and you have good results or just want to share your experience, I would love to hear from you. 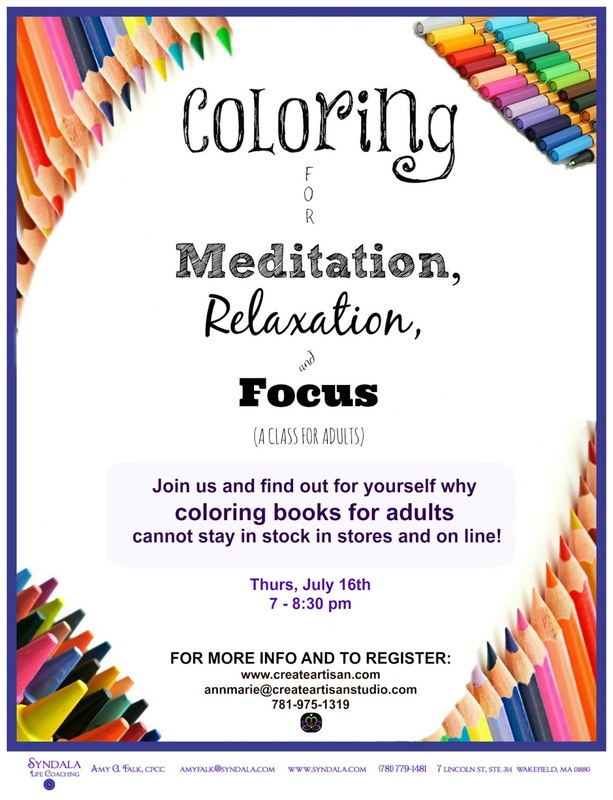 In addition, if you'd like to learn a bit more about this and to try it in a small group setting or without having to research the coloring books or make any decisions, I am running a class on July 16th called, "Coloring for Relaxation, Meditation & Focus."